I usually cover my forearms, shoulders, neck and legs. I always use the velvety puff because it really is very good for Bathina application. 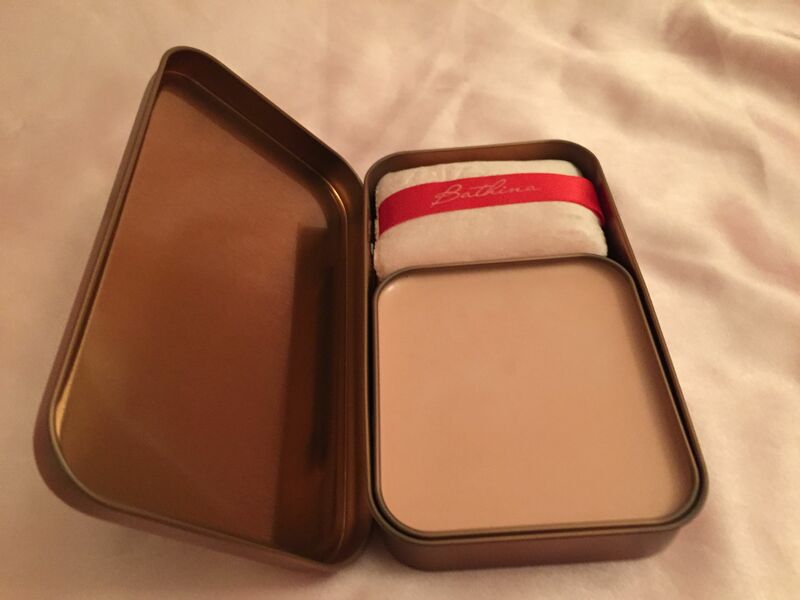 Application takes 5-10 minutes because the balm is rather thick, so save some time if you’re planning to use it. On me it stays for a pretty long time, at least 6-7 hours. It would stay even after I swim in the pool or take shower. The scent it peculiar. I find it pleasant but if you’re very sensitive to smells and/or allergic to some, try it first at the store. It’s hard to describe the scent: it smells like some interesting candy – sweet and just a bit sour at the same time. It doesn’t smell like any particular flower or plant that I know of. 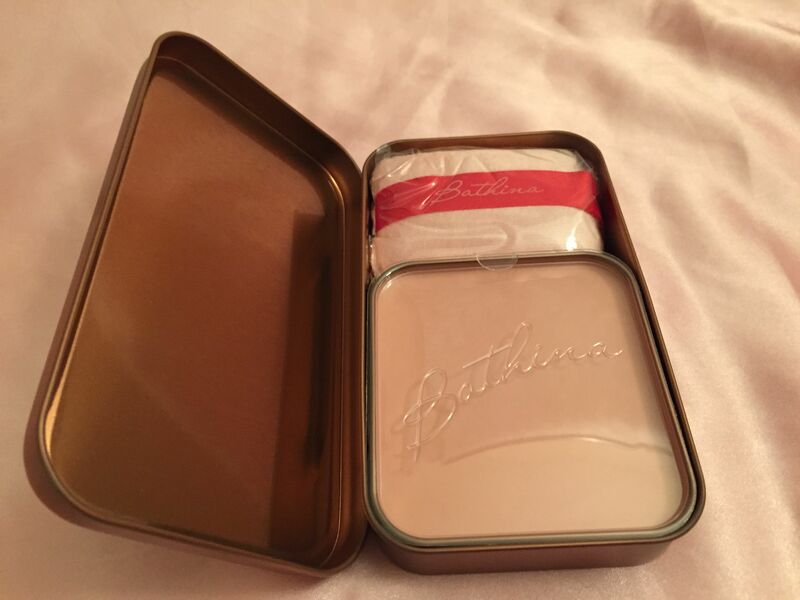 Overall, I like Bathina balm a lot – it’s definitely not a necessary beauty product but it certainly is a very enjoyable one. I absolutely recommend it: indulge yourself, we all live only once.